The construction of Friendship City and joint venture between Kenya and China at a cost of USD 2 billion, is expected to start later this year. The Chinese firm Damei Investment Company and Kenya’s Zuri Group Global will be partnering to construct the mega project in Nairobi’s Athi River area. This project will be accorded the status of a Special Economic Zone (SEZ). Director of Damei Investment Mr. Jiannan Bao, said that the development will cover an area of 1200 acres of land and will include five separate functional parks. It will include homes, commercial facilitier and public amenities like hospitals, schools and shopping malls all in one location. Expected to create at minimum 150,000 direct jobs and 500,000 indirect jobs the project is designed to attract an initial foreign direct investment of approximately USD 2 billion into the Kenyan market with the potential investments of up to USD 7.5 billion by the time the entire development is complete. 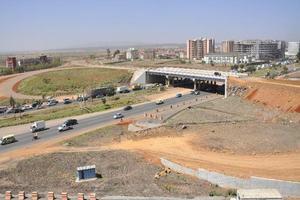 Kenya has tax benefits offered within the confines of an SEZ. These are considered to be outside the customs territory of Kenya, thereby operating within a jurisdictional bubble that shields investors from taxes and similar regulatory hurdles that directly or indirectly impede trade. “With a raft of tax and non-tax benefits, it is expected that the SEZ will not only attract foreign investors such as those from China, but also lure local industry players who will be afforded an opportunity to competitively access international markets,” said Jiannan Bao.